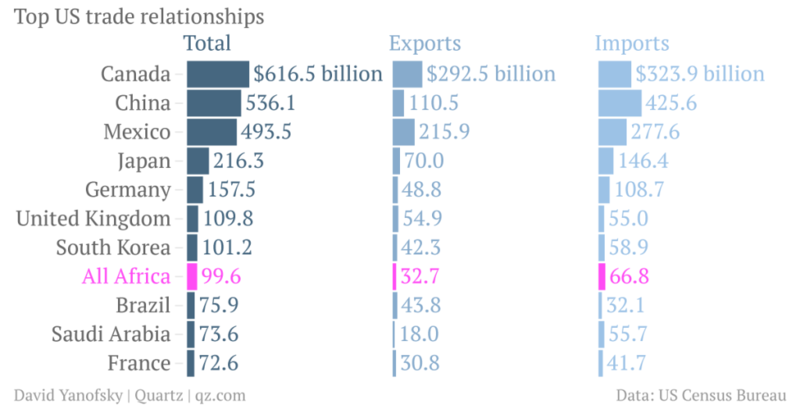 Looking at the above infograph, it becomes immediately apparent that Africa is not a significant trading partner of the US. However, the extent to which Ghana will be adversely impacted by this policy will depend on how exposed we are to the US dollar and its financial markets. The US interest rate increase has caused significant global financial market volatility. As a result, majority of the worlds currencies, including the Ghanaian Cedi, have been experiencing a considerable amount of volatility and depreciation. Currency depreciation usually has a significant impoverishing effect on economies and their citizenry, and hence, should always be treated with the uttermost sense of urgency. And it is to this rather imperative end, that i have decided to compile this international finance and monetary policy report to analyze this particular adverse policy incident. Ghana has experienced significant increase in foreign investor participation in the form of FDI through her capital markets since the global financial crisis, and is therefore very vulnerable to a normalization of US monetary policy. However, other African economies, such as Tanzania and Ethiopia, who have strategically constrained foreign participation in their capital markets, and thus are less exposed to the impact of US monetary policy changes. Countries with high twin deficits (current and fiscal account deficits) such as Ghana are particularly vulnerable. For example, Ghana’s fiscal deficit is 8% of GDP, and current account deficit 10% of GDP. Ghana’s government debt is 65% of GDP as of 2014, versus 39% average debt to GDP ratio for other African economies. It is worth noting that, 67% of Ghana’s debt is external, highlighting vulnerability to higher US rates and a stronger USD. Tightening US monetary policy will increase borrowing costs and put further pressure on the Ghanaian economy. By running current account deficits that are being financed by dollar-denominated sovereign bond issues, Ghana drastically increased her exposure to this financial contagion. Ghana with a more liquid capital market and volatile exchange rates will remain one of the most vulnerable. Any rise in interest rate has a direct impact on a country‘s currency. Rise of interest rate in the USA will strengthen the dollar. A strong dollar attracts money from other markets away from Africa and Ghana, thereby causing a ripple effect. While the Ghanaian economy is in a much better financial position today than it was a few months ago, it is still worth noting, that a strengthening dollar will have a significant adverse impact on the Ghanaian Cedi and financial system. Being at the long end of the investment stick, the first markets from where allocations are withdrawn or reduced are the emerging markets. The recent selloff in emerging markets is on account of withdrawal of money from emerging markets’ equity traded funds (ETF). What does history tell us about US interest rate hikes? There have been 16 cycles since World War II during which the Fed has boosted interest rates. The risks are higher when the Fed first raises rates. During the six months before or after the first rate hike, the S&P 500 experience a decline of 5% or more 13 times. In other words, markets were hit negatively more than 80% of the time. The recent interest rate hike, signaled the end of the bond bull market that dates all the way back to 1981. And as such Ghanaian bonds denominated in Dollars should expect to be impacted. What effect could Fed tapering have on African countries that have issued bonds on international capital markets? Gabon $1.5 billion at 6.38% yield. One of the advantages of Eurobonds are their lower costs – yields on Ghana’s domestic bonds reached 20% and those of Kenya and Nigeria ranged between 10 and 16%. Ghana issued her Eurobonds under favorable conditions. As a result, public debt to GDP ratio of Ghana has risen fast. This trend, alongside the interest rate hike, will raise cost of external borrowing for Ghana in the in the future for obvious reasons. Underdeveloped financial markets making exiting challenges. Being able to refinance the debt, if needed, on favorable terms. With the rise of interest rates in advanced economies, cost of borrowing associated with Ghana’s international sovereign bonds may also increase in the future as risk pricing becomes more nuanced. From the point of view of longer-term debt sustainability, this may be a positive development as the use of borrowed funds is likely to be more carefully scrutinized by both government and civil service organizations (CSO’s). Reports often indicate that as developed economies recover, emerging markets will lag and eventually become the biggest financial victims. What can Ghana do to shield itself from any negative fall-out of tapering/interest rate increase? The recent recovery of developed economies and the associated normalization of monetary policies triggered some instability in emerging economies, such as the devaluation of local currencies making imports more expensive. The reduction or even reversal of capital flows induced sell-offs in emerging-market assets including Ghana. As the risks associated with foreign investment increased, investors have been paying greater attention to economic fundamentals. On balance, emerging markets are expected to benefit from the recovery of their developed counterparts, which is expected to bring about increased trade. What can Ghana do to protect herself from the adverse impacts of U.S. interest hikes? Ghana with it’s wide current account deficit and large external debt needs to stay vigilant and may need to intervene in Forex markets. Over the longer term they may also need to improve fundamentals. Ghana is very lucky in the sense that, she just recently passed her IMF Review. The administration should work to further improve it’s financial position. In the short run, The Bank of Ghana could use their policy tools, such as interest rates, to mitigate the tapering-induced adverse effects. In the long run, they should build up adequate foreign currency reserves, which provide policy buffers in the event of currency shocks, and at the same time diversify their reserve currencies thereby reducing exposure to US dollars. In addition, The Bank of Ghana should also strengthen their policy coordination with other major economies to prevent unintended and unfavorable spillovers from the rest of the world. What key lessons should Ghana take from this QE exercise as she looks to tap into international capital markets while also trying to develop her domestic markets? One major feature of the world economy is the globalization of the financial markets. Increasingly, emerging economies including those in Africa are integrated with developed ones through both trade ties and capital flows. A key lesson from the QE exercise is that the policy maneuvers in developed countries can inadvertently disrupt Ghana’s currency, exports and inflation levels, etc. Apart from temporary policy measures that can be used in response to QE-driven boosts and tapering-induced declines, Ghana should also consider long-term measures such as reforming her domestic economy in order to build resilience to external shocks. How does rising US interest rates impact the Ghana’s Cedi? The end of easy money. Since the start of the financial meltdown crisis triggered by the collapse of Lehman Brothers, the US Federal Reserve has resorted to various measures to pump in liquidity in the economy. Three rounds of so-called Quantitative Easing (QE) failed to bring in the required impact on the economy. Though the Fed has withdrawn the QE’s, they kept the ‘easy money’ tap open by keeping interest rates near zero. Money was available for free to conduct businesses in the USA. But most of the money was channeled into equity markets. Unlike previous bull runs, the one after 2008 saw money moving into equity markets only. None of the other asset classes like commodities attracted this money. So if interest rates are increased, access to this money will be costly. Hence chances are that inflow of funds, as in FDI, will reverse back from Ghana to the US if interest rates are increased. Since Investors are now more likely to achieve higher returns on their US equities versus the Ghanaian equities/bonds. For equity investors it is critical to consider both the country and company level impacts of changes in US monetary policy, the cash flows of African companies with high debt requirements will be constrained by higher borrowing costs. Higher US rates will also drive a stronger dollar and weaken African currencies, all else being equal. This will support exporters but will hurt import-dependent companies that generate revenues in local currency but have most of their cost base denominated in foreign currency. Persistent economic weakness in European economies will hamper growth for many African countries that rely on European countries as key trade partners and important source of foreign direct investment. Could ECB, BoJ Possibly Offset Fed’s Measures? The impact of Fed tightening may be partly offset by the quantitative easing measures of the Bank of Japan (BoJ) and the European Central Bank (ECB). The ECB’s latest tranche of QE is of a similar order of magnitude to the Fed’s third tranche. It’s, however, somewhat smaller than the BoJ’s open-ended quantitative easing announcement made last October. Combined together, the ECB and BoJ are offsetting whatever tightening plans the Fed currently have on the table. Although quantitative easing from the BoJ and ECB has sufficient potential to offset future tightening measures from the Fed, transparency with regard to future policy action is critical when attempting to mitigate the negative impact of diminished global liquidity on economic growth. At present, the Fed has roughly $4.4 trillion in total assets whereas total assets held by the BoJ and ECB are approximately $2.6 trillion and $2.5 trillion respectively. When viewed as a percentage of GDP, balance sheet assets for the Fed, BoJ and ECB currently stand at 25.4%, 63.5% and 22.2% respectively. Most likely the ECB and BoJ measures will mitigate, not offset the Fed’s decision. Some experts have already suggested that the mitigation effects have already been observed in the market with falling bond yields, including US Treasuries. The long-term impact of tighter Fed policy will depend on the magnitude of tightening, the duration of which US monetary policy is adjusted, and the ability of African countries to insulate themselves from external shocks. In so far as Africa’s financial fortunes are hostage to commodity prices, a prolonged period of tighter Fed policy will lower government revenues, placing pressure on countries to manage spending in line with their tax base. The long-term effects of US tightening on African markets will be driven by the underlying causes for US tightening. To the extent that such tightening is driven by stronger underlying US economic growth, this can support economic growth across the continent at a time when the US is proactively looking to increase trade and foreign direct investment in Africa. The changes that are occurring across Africa, including improved governance and peaceful transitions of power, higher investment rates, increased technology penetration, and higher private sector participation in local economies, will all things being equal accelerate such economic ties between Africa and the US. Another potential silver lining is that, US tightening will drive higher borrowing costs for African economies and drive a stronger dollar. Such effects can actually drive more rapid implementation of structural reforms that over the long-run will improve external balances and ensure greater economic diversification. Ghana relies on imported goods and faces significant inflation risks whenever her currency weakens. The ability to promote a stronger domestic manufacturing base by addressing key constraints such as power and labor productivity is critical to ensure greater economic diversification and reduce import reliance. Reduced access to debt funding to meet fiscal deficits will also encourage reforms that promote a balanced budget, by for instance privatizing state-owned enterprises and reforming unsustainable subsidy programs. Several African markets have already begun taking these measures and are implementing other reforms that will ensure the sustainability of economic growth regardless of developed market monetary policies. Governments have also sought to mobilize domestic financial institutions as an institutional source of demand for local debt issues. This reduces the reliance on foreign funding sources. It does not mean, however, that governments can run profligate fiscal policies indefinitely as has been demonstrated by Ghana. According to a recent report by the Business & Financial Times, in the run up to the Fed interest rate hike, foreign investors have for the last three consecutive months pulled out as much GH¢130m investments. Clearly the Ghanaian economy is already hurting materially from the Fed decision. Rising U.S. rates are likely to present specific challenges to emerging markets, especially those with considerable external financing vulnerabilities such as Ghana. It will also have negative impacts on Governments, Companies and Banks with large amounts of dollar denominated debt that could become more expensive to service in the future. I will like to hope that, the biggest lesson we learn as a people out of the crisis is financial risk management. The Asians learned their painful lessons during their financial crisis, and I hope Ghana and other African countries, will learn and implement the right international finance risk management policies to protect Ghanaian interests accordingly.